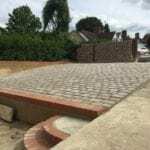 This project was initially a 18 -20 week project, it required all trades and involved all the attributes R&B Builders pride ourselves on. 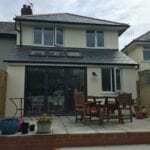 Firstly we added a large 5m long, full width ground floor extension and then above had a 2.5m long full width first floor extension. 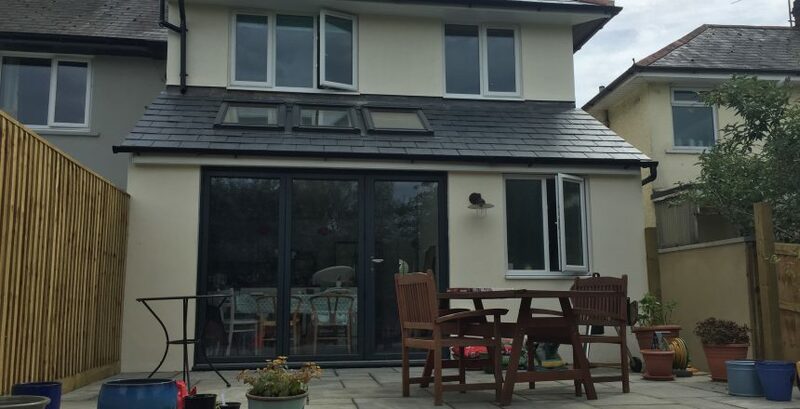 On the ground floor we installed some large steel beams, this allowed us to remove the back of the house and open the existing kitchen up. We then partitioned off a corner of this large space to create a bathroom (as upstairs only had a shower room). A new Howden’s kitchen was installed and tiled throughout which gave the space a really upmarket feel. Upstairs the 2 small back bedrooms were doubled in size. At the front of the property R&B Builders added a small porch creating a nice space to store coats and shoes while not intruding on the house too much. 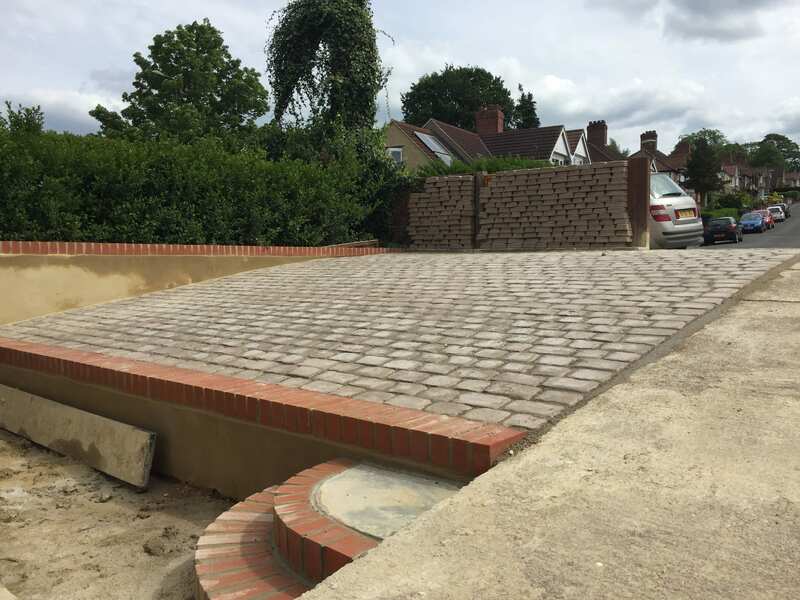 The whole project was finished off with exterior decoration, a new patio with raised beds and at the front a new Cobbled Driveway. 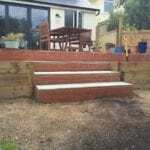 “R&B Builders were recommended to us by friends at work, and have been a great find! 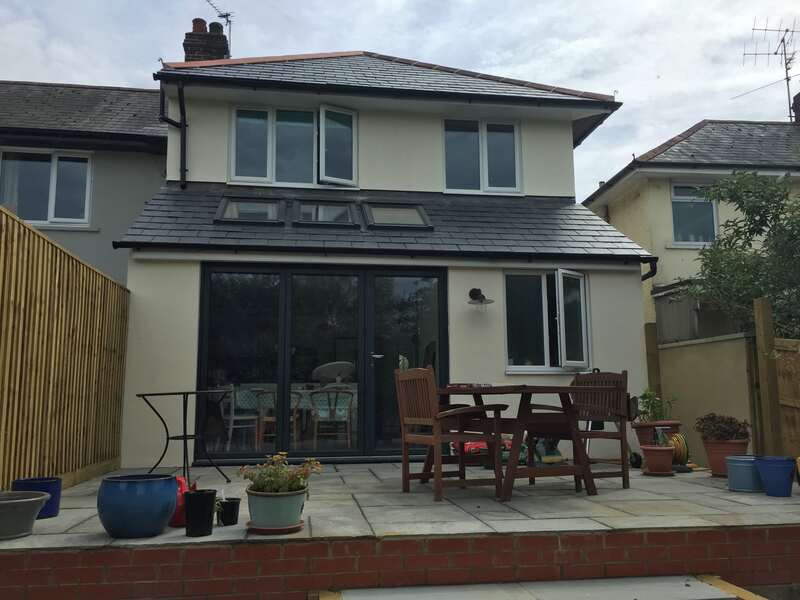 They have recently completed a wonderful two-storey extension, which included a new kitchen and bathroom. They also built us a new porch, patio and driveway. 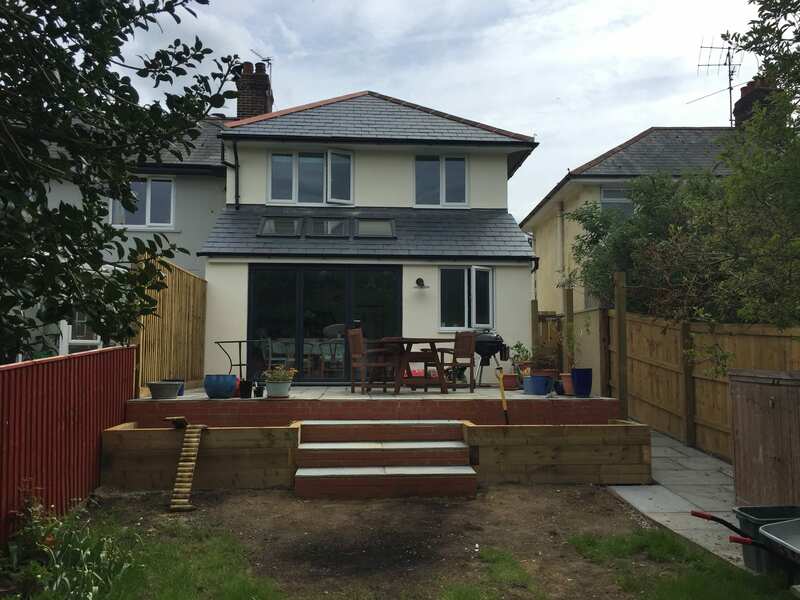 Brett, Gary and their team have done an excellent job with the house, and completed it within a tight deadline too, as it needed to be done before the arrival of our first baby! 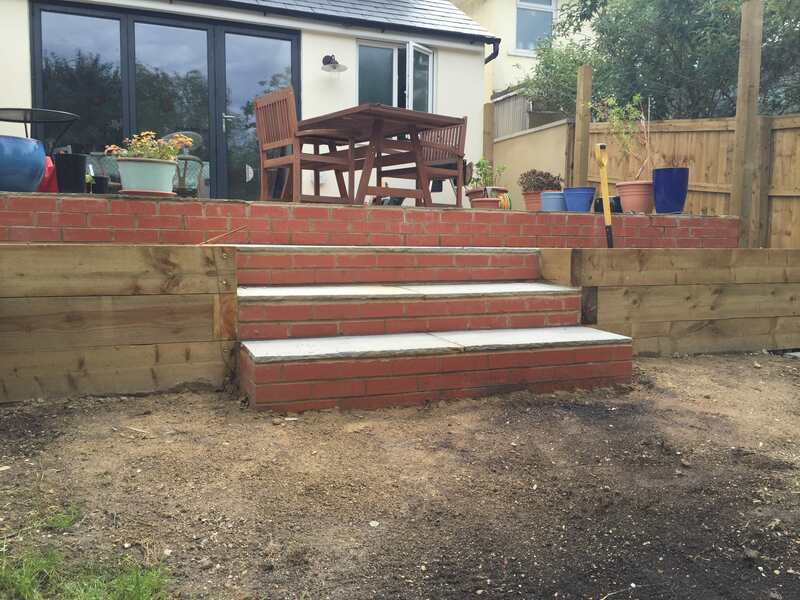 The whole team are professional and courteous and have been great to deal with throughout. 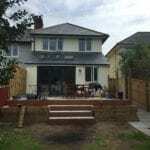 They were very considerate of our rather stressful situation, and we definitely felt we were in safe and reliable hands. We have already recommended R&B to several friends of ours and wouldn’t hesitate to use them again.